Article looking at how supporters of Zionism, in their attempt to fluster their critics, present ‘left-wing’ arguments in support of the Israeli state, while also attacking the anti­-Zionist socialist movement inside Israel. Also contains excellent information on anti-semitism within Zionism. More than ten years have passed since the beginning of the occupation of the areas conquered by Israel in the June War of 1967. The Palestinian liberation movement has become a factor that can no longer be disregarded in any discussion on the perspectives of the Palestinian question and the Middle East conflict. The relative vic­tories of the Arab armies over Israel in the October War of 1973, the economic and ideological fragility of the Israeli state and finally the new attitude of the US and the West European states towards the Arab states – along with the resulting inevitable readjustment of the nuances regarding the question of Israel-Arab confrontation – these things reveal all too clearly the political weakening of Israel’s position both at home and abroad. Viewed internationally, the isolation of Israel occurred not only in the countries of the Third World and Eastern Europe but to a certain extent also in the West. While the bourgeois mass media in the West express ‘solidarity’ and ‘anxiety’ for ‘threatened’ Israel but also for the first time report – cautiously and distortedly – on the Palestinians’ struggle for national self-determination, the Western left assesses the Middle East conflict in terms of its anti-imperialist policy. The left attributes the causes of the Middle East conflict to the fact that Zionism – a reactionary, colonizing movement associated with imperial­ism – realized its intention of creating the Zionist state of Israel at the expense of another people. After its establishment, Israel assumed the role of ‘watch-dog’ for imperialist interests in the Arab East. However, it is clear that Zionism and its propagandists abroad, using both ‘historically based’ accounts and appeals to the emotions, do their utmost to prevent and reverse the discrediting of Zionist policy and positions. These propagandists no longer project the traditional image of the ‘brave little pioneer who is 150 per cent right’, nor do they come out openly with crude, arrogant nationalism in support of Greater Israel and the expulsion of the Arabs. It’s all handled more subtly and modestly today – and for a good reason: whenever the Zionist nature of the Israeli state is seriously challenged – whether by actual political and military developments, or by ideas calling for a multinational Palestine or a supra-national socialist union of the whole region, the pro-Zionist side tries to present the Palestine conflict in terms of a ‘tragic confrontation between two equally justified national aspirations’ which can be settled on the basis of freezing the Zionist acquisitions of 1949 (with ‘corrections’). We consider Alfred Moos’s article typical of the arguments of the so-called ‘left-wing’ Zionists. Therefore, besides dealing with the central points of the argument in his article, we also want to try to use this example to explain the position of ‘left-wing’ Zionists generally, to criticize it and to show how this position is very similar to that of the official Zionist propaganda, despite all the nuances. Firstly, however, a preliminary remark: The attack on the Matzpen article takes advantage of the fact that it does not contain a historical analysis of Zionism: neither as to the relation of Zionism to the Jewish question in Europe, nor as to the relation of the Zionist enterprise to the majority of the indigenous population of Palestine (the Palestinian Arab people) and to the various imperialist powers which have dominated the region since the beginning of the Zionist colonization to this day. It is indicative that ‘left-wing Zionists’ always start their attacks on Israeli anti-Zionists with the remark that the Jewish immigrants to Palestine – who provided the human raw material for the Zionist enterprise – ‘fled all too frequently from physical extermination and from anti-Semitic humiliation and the loss of their means of livelihood at the very least’. The threat the propagandists of Zionism like so much to use is concealed behind this introduction: whoever denounces Zionism, whoever rejects the Israeli state, whoever puts up a fight against the Zionist nature of Israel and Zionist policy – is an ally of anti-Semitism. Israeli revolutionary socialists have been accustomed to the reproach of ‘self-hatred’ all along and have been well armed against it. However, from their own experience they know that the defamatory scarecrow of equating anti-Zionism with anti-Semitism still succeeds in intimidating a considerable part of the left (not to mention the democratic non-leftists) outside Israel. It is therefore essential that the left in Western Europe also learn to see through this false and defamatory equation and to recognise it as a propagandist scarecrow on the part of Zionist policy. There is no doubt that the modern Zionist movement arose as a reaction to anti-Semitism and the plight of the Jews in Eastern and Central Europe at the end of the nineteenth century and the beginning of this century. But it is not enough merely to point out that Zionism constitutes a reaction to anti-Semitism; we must determine what kind of reaction it is. In principle there can be two opposing attitudes towards anti-Semitism as towards other similar phenomena of discrimination and oppression for racial, ethnic, religious and similar reasons. The first attitude is common not only to socialists but also to all those who have a progressive outlook (radical liberals, radical democrats etc). The way they see things, discrimination and op­pression of minorities do not originate in human nature but are rather the result of certain conditions – namely, social, economic and political conditions, which are historical and consequently changeable. According to this view, only the struggle to change the prevailing social, economic and political conditions is the politically correct reaction to anti-Semitism and other similar phenomena, this change being an organic component part of the general struggle for ‘a better world’. Of course the various progressive tendencies (revolutionary socialists, social reformists, radicals) considerably differ from one another both in their conceptions of the new world they are striving for and also in the means necessary to wage the struggle. All, however, share one common assumption: the struggle against the roots of anti-Semitism and similar phenomena is not futile and (as a part of the general struggle for a better society) is the only correct political answer. On the other hand, in the case of those who hold reactionary and racist views, we generally find an opposing attitude: the antagonism and conflict between the majority of a population and racial, ethnic and religious minorities are rooted in ‘human nature’ itself; a struggle against anti-Semitism (or against similar phenomena) is pointless because anti-Semitism is a necessary, normal, indeed even healthy phenomenon. The only way to solve the problem once and for all is to destroy its alleged roots: it is imperative to change the situation where Jews live as a minority among non-Jews. It will not be difficult for the reader to see that this second attitude is the one characteristic of anti-Semites. However, the truth is that this attitude constitutes the fun­damental premise and the point of departure for both anti-Semitism and Zionism. The only difference is that Zionism appeals to the Jews to leave the ‘non-Jewish’ peoples of their own free will, whereas anti-Semitism simply demands that they be thrown out. The far-reaching harmony between Zionism and anti-Semitism, caused by the common ideological point of departure, goes even further than could be assumed. Zionism was indeed a reaction to anti-Semitism; the basic assum­ption, however, on which Zionist ideology is based agrees with that of anti-Semitism. The Zionists in their entirety rejected the continued existence of the ‘Diaspora’. According to this view, the life of Jews outside Palestine/Israel is reprehensible, whereas only emigration to Palestine, the active participation in the Zionist enterprise, is considered desirable. Regarding the attitude of Zionists towards the Jews living in the Diaspora, the Israeli professor of history and Zionist functionary of many years standing, Arieh Tartakower, says: ‘They (the majority within Zionism) considered every attempt to protect Jewish rights in the Diaspora to be a complete waste of energy.’18 Even if Zionism’s contempt for the Diaspora was an apparent contradiction – for selfish reasons Zionism could not be indifferent to what became of the reservoir of immigrants – it seems that the Zionists (like Herzl originally) considered anti-Semitic intrigues, which might drive the Jews to Palestine, to be more important, up to a certain point, than the struggle against anti-Semitism. Without doubt, this way of reasoning implies to a degree an element of discipline, but also self-justification and most certainly a deep contempt for humanity, and infinite hypocrisy. This indifference on the part of Zionism towards the struggle for the rights of the Jews has existed all along. It continues even today, for example, in the case of the Soviet Jews. It must be pointed out that the vociferous campaign of the Zionist movement in this matter does not aim to help the Jews in the Soviet Union as such but is only directed at securing one single privilege – namely, the right to emigrate to Israel. The struggle for the rights of the Jews which, like any other struggle to secure equal rights for a national or ethnic minority, deserves the support of every progressive person, is hardly of interest to Zionism. Moreover, as we shall see later, it is certain that if, for whatever reason, there is a decline in the propensity of Soviet Jews to emigrate, this will cause many Zionist leaders disappointment and regret. This has become especially evident since 1967. Every attempt to present the ‘Jewish problem’ in the Soviet Union in an ahistorical ‘eternal dimension’ – which is typical of idealism generally and Zionism in particular – is from the outset manipulatory and misleading, and mainly based on exploiting the emotions and the ignorance of the observer. The ‘Jewish problem’ in the Soviet Union is one of the national problems there – not the only one, not even the most important one; it does not exist ‘autonomously’ (according to the false slogan: ‘even socialism can’t solve the problem of the Jews....’), separately or independently of the other inner social processes of the Soviet Union. With the worsening of the economic crisis in Israel and increasing inflation and unemployment rates, the resentment of the Israeli population at the Soviet Jews, with their special prerogatives as regards housing and jobs and their special tax reductions, is becoming more marked. Any member of the working population can easily realise that the national income cake, in any case inadequate, and the capital collected abroad by the Zionist organisation are being distributed most unfairly. The issue of the Soviet Jews can be summed up as follows: The Zionist movement is not struggling for the recognition of the right of every person to be able to emigrate from one country to another – in itself a progressive demand which every socialist should support – but it demands this right as a special privilege only for Jews, and then only on condition that they immigrate to Israel and to no other country. The basis of the Zionist campaign on Soviet Jews is not the general idea of universal human rights but the Zionist thesis according to which every Jew everywhere in the world has a special right to Palestine. And in the same breath, Zionism denies the political and national rights of the Arabs of Palestine to their homeland. Indeed, this same Zionist government and this same Zionist view demand the automatic right of a Jew born in Moscow to emigrate from the Soviet Union to Israel and automatically grant him Israeli citizenship. At the same time, the same view and the same government deny the right of an Arab born in Haifa, who today for example is living in the Gaza Strip or in a camp on the outskirts of Beirut, to return to his home town and to receive his civil rights there. Human rights in general and even the rights of the Jews as a whole interest Zionism only in as far as they help to promote Jewish immigration to Israel. This cruelty of Zionism towards the Jews of the world is sometimes especially cynical. It often happens that people who belong to an oppressed group, but who nevertheless do not want to or cannot participate in the struggle against the cause of their oppression, prefer an individual solution – emigration to another country. Socialists do not propose to rob them of this possibility; on the contrary, they insist on the right of every individual to emigrate freely. They object most strongly however to emigration being presented as a collective political solution, as a substitute for the struggle against oppression. It must be mentioned at this point that in the 1920s, 1930s and also later, many of the East European Jews did in fact choose this individual solution of emigration. Many millions emigrated from countries where they had suffered great hardship to the US and other countries, and thus found a satisfactory solution to their problem themselves. Zionist emigration to Palestine was negligible in com­parison with the flow of Jewish non-Zionist emigration to other countries. The difference however lay in the fact that Zionist propaganda was directed at the more active and also more conscious elements, who were looking for a political and not simply an in­dividual solution; and it offered them the wrong political solution. Moreover, it tried stubbornly to prevent these Jews from joining in the revolutionary struggle in their own countries – this was to a certain extent both the requirement and aim of the Zionist campaign. There are also exceptional situations in which there is no possibility of a struggle on the part of the oppressed minority at all, and this minority is particularly exposed to great danger. In such cases the only humane solution is the prompt organisation of emigration for those in immediate danger to any countries ready to grant them asylum. (A fairly recent example is that of people of Indian origin in Uganda in 1972.) Such was the situation of the Jews in Germany and other European countries at the end of the 1930s. It was clear that to save the Jews from the danger of extermination, it was necessary to enable them to emigrate to any safe place. It is not just that Zionism and saving Jews in danger of ex­termination are not one and the same thing; at a critical historical moment, Zionism took a stand against saving the Jews. Here we must add something: it is true that those Jews who before the second world war had participated in the Zionist emigration from Central and Eastern Europe thereby escaped annihilation by fascism. The attempt, however, to use this as a ‘socialist’ justification of Zionism is nothing but demagogy and moral blackmail. Firstly, many more Jews managed to save themselves without Zionism, indeed contrary to Zionism, either by emigrating to America or by fleeing to the interior of the Soviet Union. Secondly, the deliverance of the Jews in Palestine was due to the fact that the German army in Africa under Rommel only got as far as El-Alamein, and did not conquer Palestine. Palestine was also on the planned route of the fascist conquerors. If Rommel’s army had conquered Palestine and had got as far as Syria, the fate of the Jews in Palestine would undoubtedly have been the same as their brothers’ in Poland. No ‘magical mystical’ power of Zionism’s would have protected the Jews of the Zionist community from the Nazis then. Indeed there was no essential connection between the deliverance of the Jews in the Second World War and Zionism. What brought about the deliverance of the Jews in Palestine was the fact that Hitler’s war machine had been brought to a halt. The Jews were saved wherever Nazism could not reach. The historical conclusion to be drawn from this is that only the worldwide struggle against fascism and reaction is an effective answer to anti-Semitism. This conclusion is exactly op­posed to the one drawn by the so-called ‘left-wing’ Zionists. The answer to that is: first, no one is trying to deny that Zionism used countless thousands of people as human raw material for its own enterprise, people looking for an escape from destitution and op­pression – many of them were not particularly enthusiastic Zionists to begin with. On the other hand, however, the assertion that Zionism did not have to exert any particular pressure on these people to get them to emigrate to Palestine/Israel is very far from the truth. Let us recall as an example the emigration of the Jews from Iraq at the beginning of the 1950s. A brief outline of the affair: in 1950 the Zionist movement concluded a secret deal with the reactionary government of Iraq, according to which the emigration of the Jews of that country to Israel was to be encouraged. The Iraqi government concluded this deal among other things because it had a financial interest in it: the property of emigrant Jews was to be confiscated and handed over to the government. Both the Zionists and the Iraqi government were completely satisfied with this arrangement. The only problem was that the Iraqi Jews themselves did not want to play along. The way they saw things, they had absolutely no reason to emigrate from Iraq to Israel. Their relations with the Islamic and Christian sections of the Iraqi population were in general quite good. The ‘Arab question’ was ‘solved’ satisfactorily for Zionism: the Arab people of Palestine were made foreigners in their own country. ‘Tragedy’? The fact that the very vociferous Zionist ‘workers’ movement’ practises colonialism under the cloak of socialism may be confusing, but the facts speak for themselves. For those who could not un­derstand how socialism could be consistent with colonialism, in­ternationalism with nationalism, workers’ solidarity with ex­propriation and repression, the ‘left-wing’ Zionists enacted their verdict in 1921: ‘Whenever we come across a contradiction between national and socialist principles, the contradiction should be resolved by relinquishing the socialist principle in favour of the national ac­tivity. We shall not accept the contrary attempt to solve the con­tradiction by dispensing with the national interests in favour of the socialist idea.’45 If one sees through the ‘socialist’ claims of Zionism, its contradictory nature and untenability, the Zionist movement loses one of its most important propagandistic hobby-horses which has helped it to rope in and take unfair advantage of socialists, who are subjectively all too sincere but nevertheless confused, in support of an objectively abominable colonial and repressive enterprise. Indeed, that is what happens, whether it is a ‘bourgeois’ or ‘left­wing’ Zionism. As far as the practical implementation of the Zionist project in Palestine is concerned, the consequences for the Arabs of Palestine, the objective consequence of the Zionist enterprise for the country in general are the same, no matter how one subjectively would like ‘one’s own’ Zionist activity to be understood – as opposed to that of ‘the others’. Some indicative characteristics of this argument can be deduced from these questions. First, it follows that the expulsion of the Arab fellahin was warranted after the Arabs had ‘offered violent resistance to the UN partition resolution’. Such views should be met with silent scorn. We should remember that in all the hypocritical apologies of colonialism throughout the world it is usual to call mass expulsions of the colonial peoples a just punishment for the fact that these wicked natives dare to offer violent resistance to their mass expulsion. Secondly, it appears that the known intentions of Zionism, as ex­pressed in the above quotations and in many other documents and the known historical facts, are supposed to be consciously ignored. In­stead one should tell the story that Zionism did not expel the Arab fellahin on a large scale until 1948. The truth, however, is quite dif­ferent. Examples of mass expulsions of Arab fellahin as a result of Zionist colonisation can be cited very easily. Many expulsions took place before the establishment of the Zionist state and continued during the entire period of the British Mandate, ie till 1948. The tenants were only satisfied for a short time because the ‘damages’ they received from the landowner amounted to very little. It was hardly enough to repay their debts to the moneylenders. Moreover, Hyamson says the fellahin and tenants who were forced to leave their lands ‘could not obtain employment in most of the newly developed manufacturing plants in the country’. These manufacturing plants were Zionist, and Zionism refused in principle to employ Arab workers. Hyamson continues that ‘in 1929 a new regulation was passed which gave the tenants still less protection [...]; it virtually legalised the established practice’. Peasants who were expelled after their land was sold to non-Jews. (There were many sales to Arab agents and profiteers who then sold the land to the Acquisition of Land Department of the Zionist Organisation). Peasants who were not classified as tenants; agricultural workers and peasants who only sold part of their land. Peasants who after sale were allocated other land, even if it could not be cultivated. Peasants who had found other employment after being expelled. In the period 1920­–36, the time when the foundations of the Zionist enterprise in Palestine were being laid both in the towns and in the country areas, there was an increased ‘exodus’ of peasants from the country areas – an exodus which must be understood correctly: not ‘out of’ the country but a migration as a result of the peasants’ losing their land. The Arab urban population of Palestine increased from 194,000 in 1922 to 298,000 in 1936. The landless Arabs met with increasing unemployment in the Zionist-dominated urban economy, caused by the Zionist insistence on ‘Hebrew labour’ and boycott of Arab labour. But let us get back to the fact that the fellahin were mostly expelled by the sellers before the sale (in deliberate agreement with the buyers). This fact enabled Zionism, like Pontius Pilate, to protest its innocence and to maintain it was not responsible for the expulsion of the fellahin. However, there are also enough examples of cases in which the Zionist colonisers, in collaboration with the British police, actively participated in the expulsion of the indigenous fellahin as in Al Fuk (today Afula) at the end of 1924, or Wadi al-Hawarith (today Emek Hefer) in 1933. Still today the propagandists of Zionism spread the claim that the Zionist institutions (at least until 1948) in most cases received ‘deserted lands’ so that Zionism is not responsible for the expulsion of the masses of fellahin. From a technical point of view and applied to the appropriate cases that is not a lie but actually a half-truth – which is worse than a lie. For the Zionist propagandists conceal the fact that, to dodge the laws enacted to protect the fellahin, the Zionist institutions demanded that the sellers expel their tenants themselves, before going through with the sale. By the way, we can see here how far from the truth is yet another claim of the ‘left-wing’ Zionists: the claim that ‘it was not the poor fellahin but the great landowners who, for reasons of class con­sciousness, rejected Jewish immigration and they consequently feared “infection” of their fellahin with social ideas imported from Europe’. In the first place, the ‘social ideas’ Zionism brought from Europe were intended for exclusively Jewish use. All the institutions of organised work and community life were in no way intended for Arabs. Zionism never propagated any progressive social ideas among the fellahin. On the contrary: Zionism was, as we saw above, the objective ally of the great landowners. This was the only social class in Arab society which received any advantages through Zionist colonisation – they received for their lands prices which were higher than before colonisation. The fellahin were in fact the victims of an alliance between Zionism, the great landowners and the moneylenders. It is true that to veil their real interests and intentions, the great landowners sometimes launched vigorous verbal campaigns against Zionism. But it was all talk. Here we must mention that the method of expulsion (which was usually concealed to evade the law) and the lack of any reliable registration of proprietary and usufructuary rights are the reasons why it is still impossible today to supply exact details as to the extent of the expulsions. There is no doubt that there must have been many thousands. The exact figure, however, would have to be determined through painstaking detailed research. The question how many fellahin lost their land because of Zionist colonisation can at present only be answered generally. Indeed the professional generals of Zionism often speak more clearly and more frankly than many of their ‘left-wing’ apologists. The colonisation of a country and the resulting expulsion and op­pression of its indigenous inhabitants, and all of this with the propagandistic aim of a so-called ‘progressive’ society in Palestine, as the Zionists, disguised as socialists, saw it, is not only pure hypocrisy but also the theoretic and practical prostitution of revolutionary theory – a theory advocated only verbally. The first systematic research into the extent of the destruction which Zionism and Zionist colonisation caused to the original Palestinian society, compiled by the Palestinian historian ‘Aref al-‘Aref and presented on 15 February 1973 by the chairman of the Israeli League for Human Rights, Professor Israel Shahak, contains a complete list of those Arab villages in Palestine which existed until 1948 and which today would be sought in vain. They no longer exist. In figures: 385 – in words: three hundred and eight-five. It follows from some of the quotations above that it was part of the Zionist expulsion policy to exert pressure continually on the Arabs by not employing them. ‘Left-wing’ Zionists feel slightly uncomfortable about this point ... but only for a moment. They concede that the displacement of Arab workers from their jobs is one of those things which ‘have a repulsive effect on us Europeans’. However in the same breath they call on their readers to free themselves from such merciful, weak, apparently specifically European ‘prejudices’. You must un­derstand, the Arab workers had to go, ‘to protect these (Jewish) workers from starvation, as it was just impossible for Jewish workers to live on the same wages as Arab workers’. So, one has to excuse them: the Jewish workers had a European stomach which was bigger than that of the Arab members of the same class. This attempt to excuse, however, is a twofold failure: an untruth and an absurdity at one and the same time. It is untrue that the Zionist institutions did not systematically interfere with and hinder the sale of products by the Arab fellahin: this was done not only with propaganda but also with the aid of more effective means of ‘per­suasion’. (The Zionist leader David Hakohen reports for example in the supplement of the newspaper Ha’aretz of 15 November 1968 how he and his colleagues poured petroleum over tomatoes being sold by Arabs and broke their eggs.) The attempt at an excuse is fun­damentally absurd because the only way of solving the problem which would have avoided ‘a lot of dirty linen’ would have been for Zionism to abandon its main aim. From the standpoint of the Zionist aim – the transformation of Palestine, which was an Arab country, into a ‘Jewish’ nation state – the presence of the Arabs was an obstacle which had to be removed. The way to achieve this goal was to refuse the Arabs work, as all Zionists since Herzl have realised. Israel is as a state a huge fait accompli. However, it is not likely that Israel, even within the borders of 4 June 1967 ‘plus corrections’, can look forward to peaceful and harmonious coexistence with its Arab neighbours in the long term. The Middle East conflict is not simply a ‘border conflict’. The cause of the historical conflict between the state of Israel in its present Zionist form on the one hand and the Arabs on the other is the existence and the effects of Zionism. Whoever is sincerely interested in the future of Israelis and Arabs in the Middle East should seriously reflect on this. 1. Khamsin 6, 1978, pp33–59. This is a translation of an article entitled ‘Der Zionismus und sein Popanz: Eine Antwort an die „linken” Zionisten’, published in the German journal Probleme des Klassenkampfs, vol. 19/20/21, 1975, pp299–327. A Khamsin editiorial note says: ‘In the present translation we have omitted a passage dealing with the current Zionist propaganda concerning Soviet Jews, since this topic is covered in greater detail in an article by one of the two authors in Critique 9.’ This refers to Moshé Machover’s article ‘Zionism or human rights’, Critique 9, 1978, pp, 121–5. 2. First published in English in New Left Review 65, Jan-Feb 1971. 3. Cf. Alfred Moos, in: links no 33, 1972. A Hebrew translation of Moos’s article was immediately published in Israel by the Zionist group which had split from the CP of Israel in 1965, Maki (today: Moked) in its organ ‘Kol Ha‘am’ no 32 (1972) under the title ‘Zionism, the Scarecrow’. This group had taken it upon itself to back the Israeli state by accusing ‘from a com­munist point of view’ all opponents of the Zionist policy of anti-Socialism and by seizing most gratefully on any political or apologetic contribution from abroad. These people revised socialist positions not only by putting forward the classical Zionist arguments, but by such historicist constructions which use the actual events and negative trends in the international communist movement and in the Soviet Union, to come to the conclusion they desire, ie that socialist opposition to Zionism is only one more negative trend, which, like the Stalinisation of the Soviet Union and the Comintern, is to be con­demned and repudiated. When in the following the position of ‘left-wing’ Zionists is quoted, we are referring to this article by A. Moos. 4. The original Hebrew text of the Matzpen article mentioned appeared originally in the Tel-Aviv organ ‘Matzpen’ and the editors presumed that the reader is familiar with the organisation’s analysis of the history and nature of Zionism, as put forward in many articles since 1962. It is obvious that these analyses cannot be repeated in detail here. They partly appear in: Arie Bober (ed), The Other Israel: The Radical Case against Zionism, New York 1972; Cf. also Nathan Weinstock, Zionism: False Messiah, Inklinks, London 1978. We shall only go into historical questions here as far as it is necessary to disprove the argument of the so-called ‘left-wing’ Zionist criticism of anti­-Zionism. 5. Speech by Esther Maria Frumkina in: Der 2. Kongreß der Kom­munistischen Internationale. Prot. der Verhandlungen vom 19.7. in Petrograd und vom 23.7. bis 7.8.1920 in Moskau, published by Verlag der KI, Hamburg 1921 p198. 6. David Ben-Gurion, Memoirs, Part 1, Tel-Aviv 1971, p245 (in Hebrew). 7. Cf. e.g. in Kontres, organ of Ahduth Ha‘avoda, no 47, Tel-Aviv 1920 (in Hebrew). 8. Yaakow Meiersohn, Nach der 5. Poalei-Zion-Konferenz – Brief an die Genossen der Sozialistischen Arbeiterpartei in Palästina (in Yiddish), Vienna 1920; reprinted in Mario Offenberg, Kommunismus in Palästina – Nation und Klasse in der antikolonialen Revolution, Meisenheim/Glan (BRD) 1975. 9. Aharon Cohen: Israel and the Arab World, Tel-Aviv 1964, p259 (in Hebrew). 10. R. Meinerzhagen, Middle East Diary, London 1958, p49. 11. The diaries of Theodore Herzl, Gollancz, London 1958 p6. 12. Leo Pinsker, Auto-Emancipation, New York 1948, p33 and M. Hess, Rome and Jerusalem, Tel-Aviv 1935, pp25-6. 13. Cf. Y. Elam in an article in ‘Ot’, organ of the Israeli Labour Party (Ma‘arakh) no 2, Tel-Aviv 1967 (in Hebrew). 14. This quotation comes from a book which appeared in Berlin in 1934. The author was at that time one of the leading Zionists in Germany and became a leading Zionist in the USA and chairman of the international leadership of the – Zionist controlled – World Jewish Congress. Cf. J. Prinz, Wir Juden, Berlin 1934 p154 (emphasis in original). 15. Cf. Die Nürnberger Gesetze, 5. Auflage, Berlin 1939, pp.13-4 (our italics). 16. I. Deutscher, The Non-Jewish Jew, London 1969, p67. 17. Y. Elam, Introduction to Zionist History, Tel-Aviv 1972, pl13 and p122 (in Hebrew). 18. A. Tartakower, The Jewish Worker’s Way to Zionism: Zionism and Socialism, New York 1954, p63. 19. Reprinted from the minutes of the meeting in Y. Elam, loc cit, p123. 20. Y. Elam, loc cit, p122. ‘Yishuv’ was the term for the Jewish community in Palestine, dominated by the Zionist movement, before 1948. On the ‘transfer’ deal see Shaul Esh, ‘Iunim beheqer ha-sho’ah ve-yahadut zmanenu, In­stitute of Contemporary Judaism, the Hebrew University of Jerusalem 1973 p108ff. 21. Herberg Lucht from Vienna in: Der Tagesspiegel (Berlin) of 1 January 1975; and others. 22. Viktor Polski in: Dov Goldstein, Interview of the Week, in Ma’ariv of 27 December 1974. 23. Cf. Le Monde, 20 December 1974 and Der Tagesspiegel (Berlin), 21 December 1974. 24. Cf A. Hoder, ‘Russian Jews, Black Jews and Non-Jewish Jews’, in Israca no 5, London 1973 pp16–25. 25. In Ma‘ariv of 10 January 1973. 26. Quoted from Y. Elam, loc. cit., p122. 27. [xxvi] Quoted from Y. Elam, loc. cit., p, 111. The Israeli historian S. B. Beit-Zvi shows in his recently published monograph – Post-Ugandan Zionism in the Crucible of the Holocaust, Tel-Aviv, 1977 (in Hebrew) – how ‘As a result of narrow-mindedness and fear of the danger of territorialism [i.e., the “danger” that the Jewish problem might be solved by migration to some territory other than Palestine – editor’s note] the Zionist movement in a number of cases acted against attempts of Jews and non-Jews to save the lives [of Europe’s Jews]. As time went on this intervention [against salvation of Jews] grew in scope and energy. ... In fact, the intervention against attempts to save Jews, to the extent that they were not connected with immigration to Palestine, continued up to the end of the [second world] war.’ (ibid., p458) Even Y. Grienbaum, who in 1935 had demanded that the Zionist movement participate in the struggle for the rights of Europe’s Jews, opposed in 1942 demands that Zionist funds (devoted to the colonisation of Palestine) be used to finance projects for saving the lives of Jews. Beit-Zvi quotes Grienbaum as saying ‘When I was asked whether the money of the Zionist Construction Fund may not be used for saving Jews, I said “No”, and I now repeat, “No”. I know that people wonder why I found it necessary to say this. Friends tell me that even if what I say is right, there are things which must not be revealed in a moment of sorrow and anxiety such as this. I cannot agree with this. In my view, the wave which relegates Zionist activities to second place must be resisted.’ (ibid, p110). On the same subject see also Ben Hecht, Perfidy, New York 1961. 28. Quoted from Y. Elam, loc. cit., pp125–26. The historical background was the revolt of the Arabs of Palestine against British rule, which Great Britain had a hard time putting down. The British government did not want to an­tagonise the indigenous Arab population too much at that time by allowing a large wave of Zionist colonisation and were supported in this by anti-Zionist Jews. 29. In Davar, 5 February 1945, emphasis in the original. 30. I. Deutscher, loc. cit., pp49–50. 31. A. Moos, loc. cit. 32. 31 Cf. the reports in the weekly Ha‘olam Hazeh 20 April 1966 and 1 June 1966. This operation is of course denied by Zionists. Cf. Y. Me’ir, Children of the Desert, Underground Organisations in Iraq 1941–1951, Tel Aviv 1973, p204f. (in Hebrew). 33. A. Moos, loc. cit. 34. Quoted from Y. Elam, loc.cit., pp73–74. 35. Quoted from: The XII Zionist Congress in Karlsbad, 1–14 Sep­tember 1921, Berlin 1922, p70. 36. L. Gaspar, Histoire de la Palestine, Paris 1970, p104 and pl19. 37. See Sabri Jeries, The Arabs in Israel, Beirut 1969, pp55-90, where there is a fully verified description of this. 38. Ben-Gurion, loc cit, p117. 39. Cf the speech of Saskin, member of the subcommittee for colonisation in the Zionist Executive at the XII Zionist Congress, Minutes, loc cit, pl04. 40. A. Bonne, Palestine, Country and Economy, Berlin 1935 p154–5. 41. Y. Meiersohn, loc cit. 42. Quoted from the statement of the Union Department of the PCP, October 1924; reprinted in: M. Offenberg, loc cit, p336–7. 43. D. Ben-Gurion, loc cit, p299–300, p275 and p339. 44. D. Ben-Gurion, We and Our Neighbours, Jaffa 1931, p8l–2 (in Hebrew). 45. Y. Ben-Zvi in: Achduth No 16, Tel-Aviv 1912. 46. 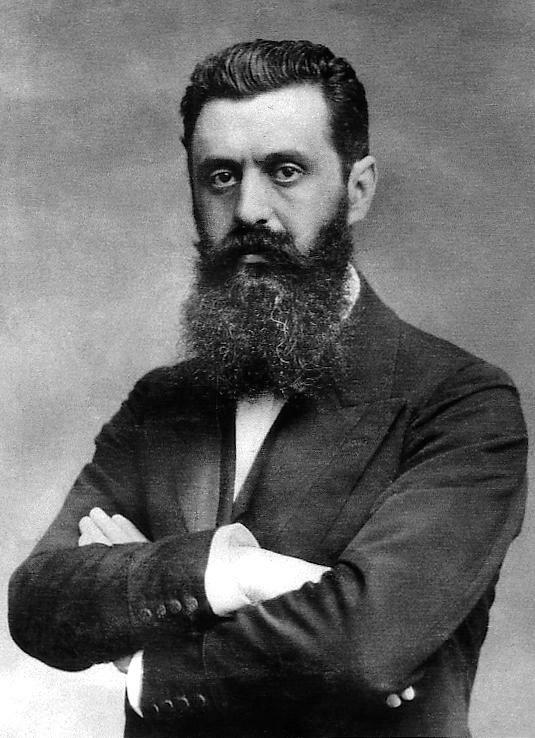 T. Herzl, Diaries, Berlin 1922 (German). 47. J. Weitz, Diaries, quoted by the author in Davar, 29 September 1967. 48. A. Moos, loc cit. 49. M. Hyamson, Palestine under the Mandate, London 1950, pp87–8. 50. Cf C. Sykes, Crossroads to Israel, London 1965, p119. Details of the complicated dodges used by the Zionists to evade government regulations enacted to protect tenants are given by J. Weitz in the preface to his Diaries, Israel 1965 (in Hebrew), vol 1, ppxxii–xxviii. Many illustrations can be found throughout these Diaries. 51. Cf A Survey of Palestine, published by the Palestine government vol I, p296 and Palestine Royal Commission Report 1937, pp239–40. 52. General Moshe Dayan, in Ma‘ariv, Tel-Aviv 7 July 1968.